Concepcion was beaten pretty badly by the 2010 earthquake that shuck much of Central Chile. The epi-center of the quake was just off the pacific coast about 100km from the city. The quake lasted about 5 minutes in total and the damage, quite obviously, to the city was more than slightly extensive. I travelled to Concepcion about 9 months after the quake with the idea in my head of writing a story about the damage the quake did with some photo evidence. However, as is usually the case, when I arrived to Concepcion a completely different story rose from the rubble. My story shifted to how the city had responded with such pride and passion. Many people would have simply chosen to get up and leave when everything they had has turned to dust, but in Concepcion beauty was arising from the rubble instead. This flower photo was taken from the garden in front of a house in shambles. Although the house was now a work in progress, the owner still took amazing care of their garden, which tells me a lot about the pride the owner takes in their property. I say this so often, but before you take a photo you should have a vision for what it will looks like. You don’t just take photos, you have to make them. 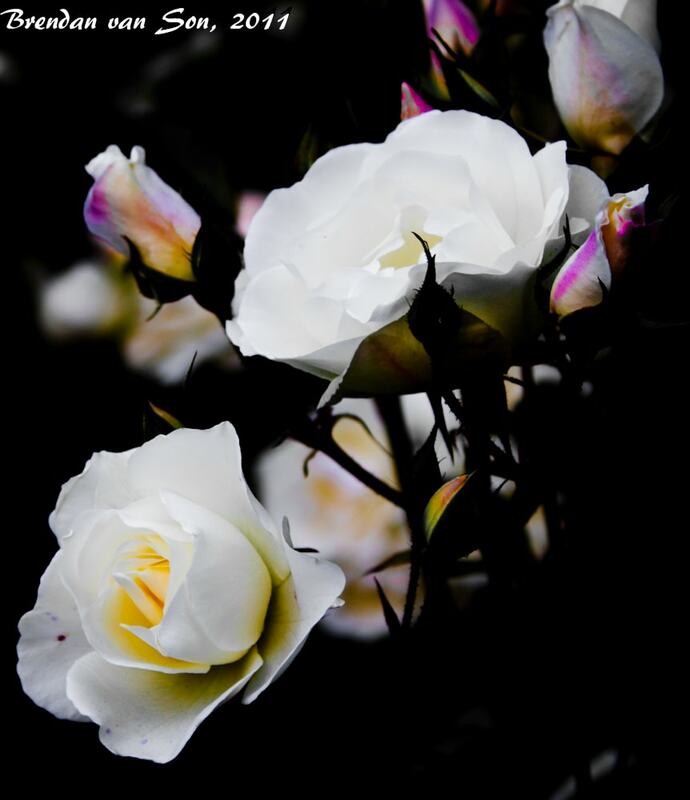 For this photo, the flowers where situated in the light, while much of the rest was in shadows. I knew exactly what I wanted the photo to look like before I shot it. I knew that in the digital darkroom I would play with the levels to darken much of the image to complete black while boosting the light on the flowers. I wanted the image to have almost a religious look, a spiritual look. I wanted to make it seem like a flower growing through the dark, in a matter of symbolism of Concepcion building though the dark days. It takes a lot of practice, and it is something that I still work on, but do your best to visualize your photo before you click the shutter on your camera. Imagine what you want the image to look like, and then make your image. Nice photo and interesting introduction to the picture. I would say that the flower is symbolic of the reconstruction efforts in Concepcion. I like the shot, but most of all I like the text that goes with it. The earthquake and reactions to it are experiences that are hard to put into words and that unite everyone who’s lived through them.